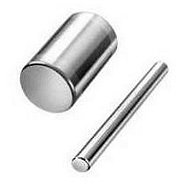 Needle,rollers can be supplied as an individual part. Applying these balls, you can build an economical bearing unit, with no separators, which can withstand high loads. They are designed to work in low speed or in slow swinging motion. When assembling these units pay attention to hardness and precision type of the balls. They must be the same as the trace hardness and precision type.Balls are used not only in bearing units, but also in spherical ball joints, overrunning clutches, ball-bearing screws, also in locking devices and spherical valves. They also are used for various calibration tests. You can search by the roller or needle dimensions, then you will be provided with all possible options. 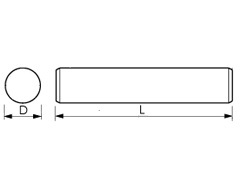 Enter roller or needle dimensions, or part of their dimentions.